Not the school, but the cathedral. The contents especially, and even the architectural details, are really irreplaceable. This is a great point. What's inside is probably more valuable and irreplaceable. Yeah, here's a photo from before the fire. 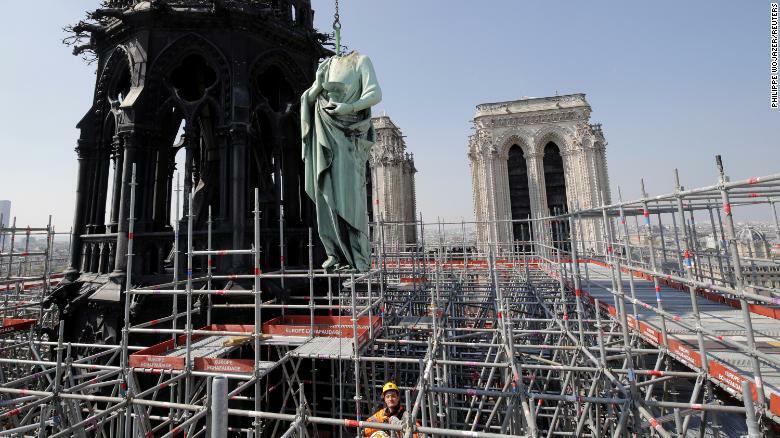 If it was a construction issue, I'm not sure what kind of insurance you need to cover destroying one of your country's most famous medieval sites. What did that self righteous turd do now? Posted Trump tweets about it. Kiimosabi too. I've never been there, but I thought that all the super valuable stuff got moved out after the French Revolution? Took them nearly 2 hours. I guess it started right at rush hour. Even if insurance would cover the actual damage, there's no way it could come close to covering the economic damage one. I'm confident that at least some people will change their plans to visit Paris without Notre Dame as a place they can visit. It's gonna cost millions in tourism dollars, maybe billions. What a shame. I really hope that’s an accident because if it wasn’t there isn’t enough torture for whoever did it. That happened with Versailles, but I don't know if it happened with Notre Dame. As a church-run place, I'd suspect that they avoided that fate. I've been there, and it's got a lot of stuff in it. I have no idea of the historic importance of it, though - it was just lots of Jesuses and stuff so I didn't pay much attention. The stained glass was impressive, and just the architecture in general. And both of those may be in trouble. At least the architecture is mostly stone. Hope all were able to get out safely. An 800 year old building is probably a tinderbox. I hope Rudy made it out. The stained glass art is irreplaceable. I have to imagine the stained glass in the back half of the building is gone. The framing might be intact, but the glass itself would melt with that heat I bet.